Nab 3G-free version for £100 less than an iPad 2. 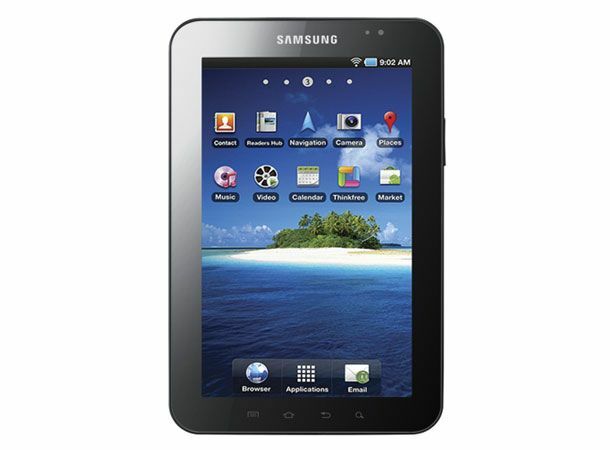 The Galaxy Tab is almost six months old. But Samsung is looking to breathe new life into the old model, finally unleashing a Wi-Fi only model for just £299. You can nab the slate for that price now over at Amazon. Still running Android FroYo, the Galaxy Tab has been outpaced by a number of new Android Honeycomb tablets, not least Samsung's own Galaxy Tab 8.9 and Galaxy Tab 10.1, bith due later this year. It's unlikely that the Galaxy Tab will be updated to Honeycomb, as it lacks the hardware smarts Google requires for the new, tablet-centric version of its operating system. That said, it's still a sleek effort, and at £100 less than the entry level iPad 2, it has to be worth a pop if you like your gadgets cheap and cheerful.